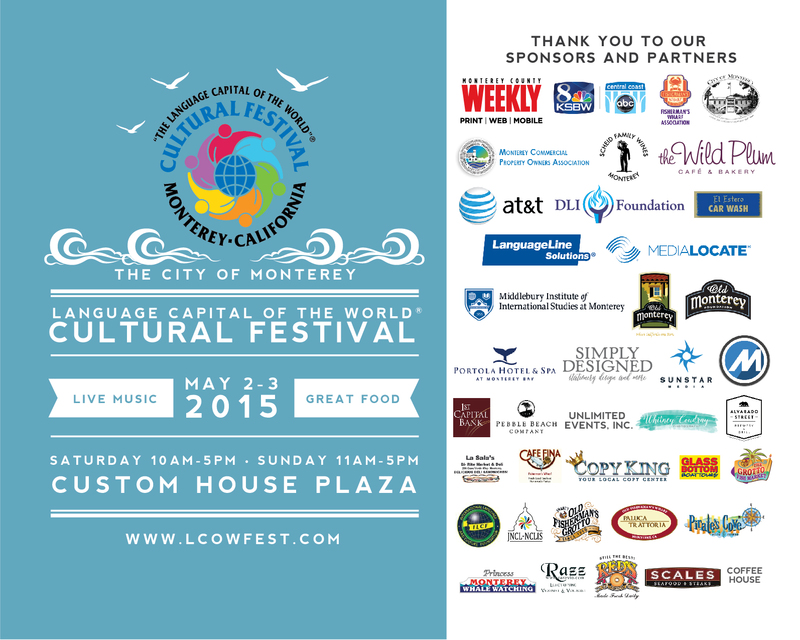 The Old Monterey Foundation is pleased to announce its sponsorship of the Language Capital of the World Cultural Festival on May 2 and 3, 2015. The event was organized by the City of Monterey to recognize and celebrate the rich cultural history of Monterey and the expert array of educational institutions in Monterey dedicated to language learning. The two day event began with a parade/procession down Alvarado Street to the Custom House Plaza, where the remainder of the Festival took place. This first Festival was a great success and will be promoted into the future. Held in the heart of historic Old Monterey adjacent to Downtown Monterey and Monterey’s Old Fisherman’s Wharf, this inaugural “Language Capital of the World® Cultural Festival” highlighted Monterey’s rich language, culture, and international affairs capabilities, as well as its Sister City relationships. The Festival featured cultural dancing and singing, ethnic foods and crafts, Sister City exhibits, and exhibits from the flagship foreign language and culture institutions of higher learning, including Middlebury Institute of International Studies at Monterey (MIIS), California State University of Monterey Bay (CSUMB), Monterey Peninsula College (MPC), Defense Language Institute (DLI), Naval Postgraduate School (NPS), and others. 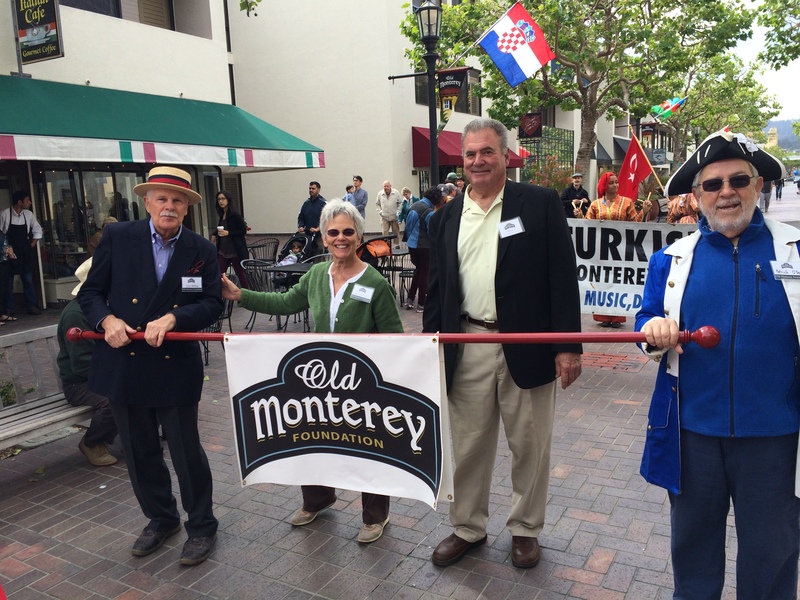 In addition, this free event celebrated Monterey’s four Sister Cities that include Kusadasi, Turkey; Nanao, Japan; Dubrovnik, Croatia; and Lankaran, Azerbaijan, with attendees present from these countries. The internationally-themed entertainment representing language and culture, was coordinated by Sameera E. Sharif, Assistant Professor at the Defense Language Institute, and included Taiko Drums, Soranbushi Dance, Modern Japanese Singing, Sake Cask Demonstration, Kendo Demonstrations (Japan), Mexican Dance Group (Mexico), Korean Fan Dance and Korean Percussion Band (Korea), Lion Dance, Dragon Dance, Tai Chi Fan Dance, Umbrella Dance, Chinese Choir and Chinese Violin, Chinese Tea Ceremony (China), Pakistani Folk Dancing (Pakistan), Tarantella Dance, Music and Singing (Italy), Flamenco Dance (Spain), and Indian Folk Dance and Bollywood Dance (India) and more. 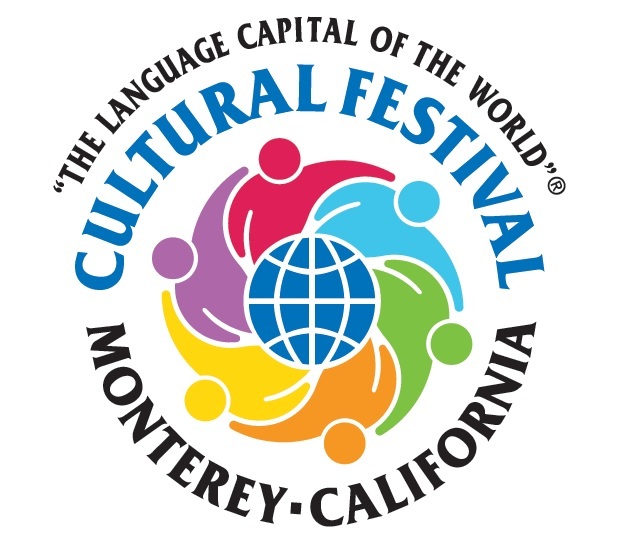 The trademarked slogan of “Language Capital of the World®” for Monterey County was recently approved by the Library of Congress. The slogan has been used for many years to reflect the many institutions involved with international studies and language instruction in Monterey County. Monterey County organizations also play an important role in providing translation (written word) and interpretation (spoken) services around the globe such as LanguageLine Solutions and MediaLocate USA, among others. Organizations such as the Defense Language Institute at the Presidio of Monterey, Middlebury Institute of International Studies at Monterey, Monterey Peninsula College, California State University of Monterey Bay and other local entities provide instruction in many languages. The Naval Postgraduate School has hosted students from more than 100 nations and provides professional, service-oriented educational programs for the U.S. armed forces and international militaries. Monterey County is also a very popular destination from visitors throughout the world, and Monterey’s languages and cultural diversity is reflected in its Native American, Chinese, Filipino, Italian, Japanese, Mexican, Portuguese, Spanish and Vietnamese roots. According to Dino Pick, Deputy City Manager, City of Monterey, “We are thrilled to highlight our institutions of higher learning, military installations and businesses such as MIIS, DLI, and LanguageLine Solutions. These organizations and their world-class faculty, staff and students help make Monterey the ‘Language Capital of the World’”. The Old Monterey Foundation was thrilled to participate in this first ever Festival and is looking forward to the future when we expect this event to become a staple of Monterey’s cultural scene.